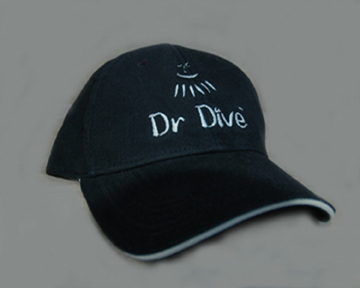 dr dive merchandise can be purchased in two easy ways! 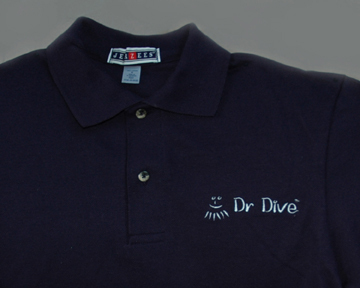 you can pick up your merchandise at the time of your dive. 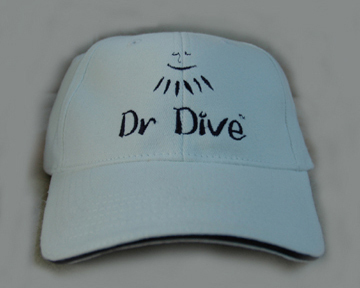 just e-mail dr dive, let us know the date of your dive trip, and we'll have the merchandise waiting for you at the boat. combine the fahrenheit uni-fit structured mid-profile stretch 6-panel heavyweight brushed cotton twill cap with one of today's hottest features, a sandwich visor. the visor is pre-curved. 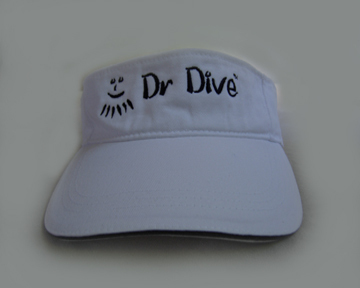 fahrenheit created this cotton visor with a contrasting trim on the bill. the visor bill is pre-curved with eight rows of stitching and the double sandwich visor. the self-fabric back strap has a velcro closure that adjusts to fit most size heads. white with navy trim. fahrenheit created this brushed cotton visor with a contrasting trim on the bill. 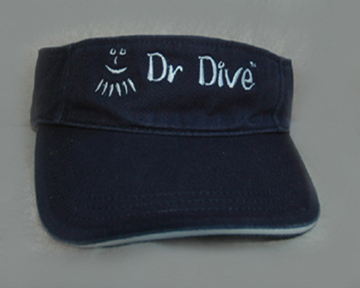 the visor bill is pre-curved with eight rows of stitching and the double sandwich visor. the self-fabric back strap has a velcro closure that adjusts to fit most size heads. 100% nylon lower back, front and sleeve lining. front zippered slash pockets.hideaway hood in cadet collar. elastic sides on bottom hem. inside chest pocket. adjustable elastic and velcro cuffs. 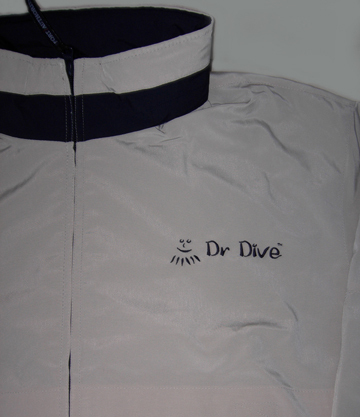 front and back vents for breathability. tan with navy trim. 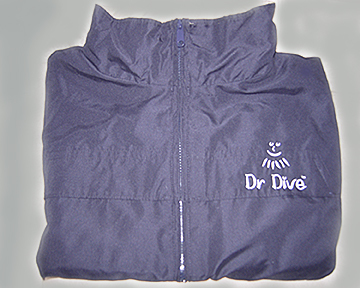 the boca classic water resistant jacket (not hooded) with cell phone pocket. 100% polyester. uss oriskany with dr dive, series i, photo collection. each series contains unique images, without duplicates.plastic spiral bound 4x6 collection of kodak photos created by captain jim to document incredible views of the mighty "o". 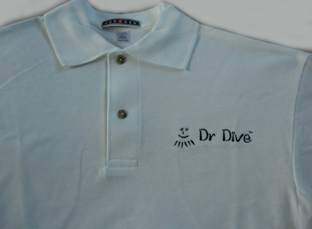 an excellent keepsake of your oriskany dive experience. 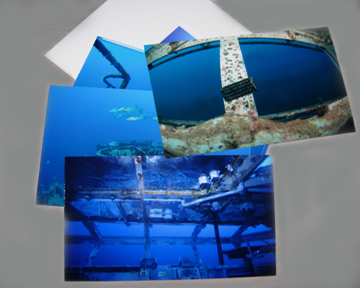 uss oriskany with dr dive, series ii, photo collection. each series contains unique images, without duplicates.plastic spiral bound 4x6 collection of kodak photos created by captain jim to document incredible views of the mighty "o". 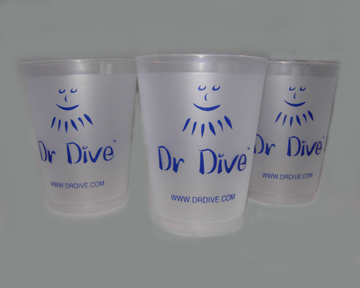 an excellent keepsake of your oriskany dive experience. 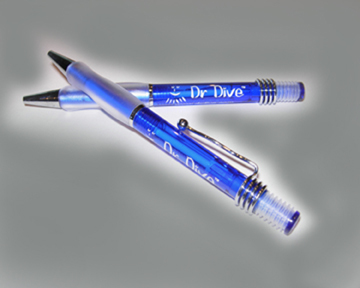 retractable swizzle ball pen with translucent color barrels. clear frosted accordion plunger cover and matching comfort grip. side of barrel, 1/2"h x 1-3/8"w.